Suitable for long dresses, wedding dresses and all the usual jackets, trousers, suits, blazers, shirts and blouses. 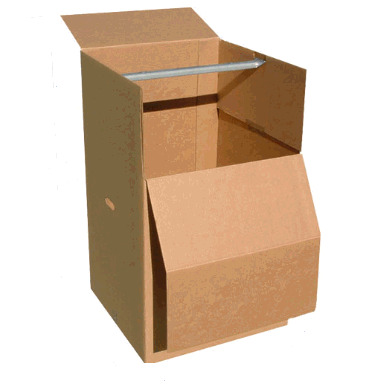 Each Wardrobe Box comes with a sturdy metal hanger bar, as in a wardrobe. 20-30 coat hangers of clothes will fit in a Port-A-Robe depending on the bulk of the clothes. 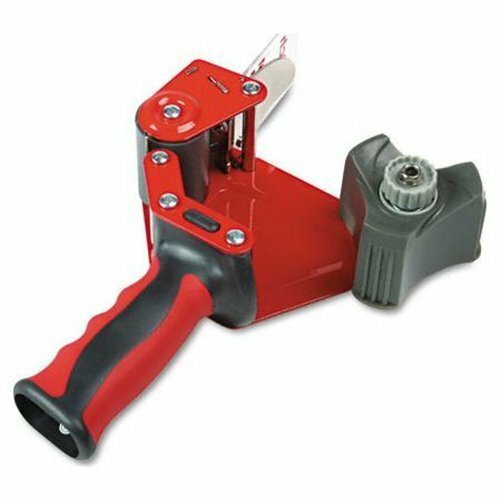 The Port-A-Robe is then closed and carried by the convenient hand holes in the side of the box, avoiding any damage or soiling. 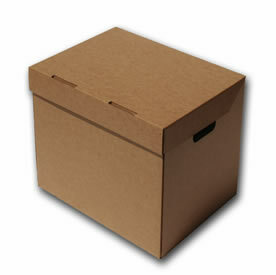 Don't take a chance by packing your precious items in weaker cardboard boxes. Using inferior boxes can damage your valuables. 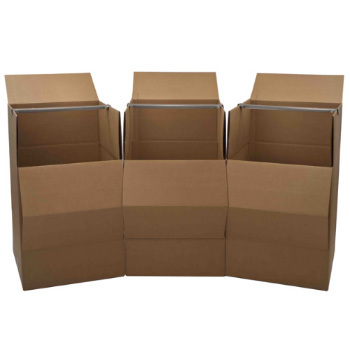 Our Rent Your Boxes, Wardrobe Boxes are extra strong virgin cardboard boxes which provides you with long lasting packing boxes that will protect your goods.